This is a scalable context timeline. It contains events related to the event 1998: US Intelligence Starts Investigating Al-Qaeda-Linked Charity in US, After Knowing of Its Militant Ties for Years. You can narrow or broaden the context of this timeline by adjusting the zoom level. The lower the scale, the more relevant the items on average will be, while the higher the scale, the less relevant the items, on average, will be. The Guardian reports in May 1993 that the Benevolence International Foundation (BIF) (then known as Lajnat al-Birr al-Islamiyya) has been closed in Saudi Arabia and “its head, Adel Batterjee, a known political activist, has been detained by the police.” The Guardian hints that the shut down is related to pressure from the Egyptian government. This is possibly the only instance of the Saudis shutting down a charity before 9/11. [Guardian, 5/5/1993] Al-Qaeda will determine later in the year that the shut down was because the Saudis had found a link between BIF and al-Qaeda, but an operative will report that the problem has been fixed. [USA v. Enaam M. Arnaout, 10/6/2003 ] Batterjee is also mentioned in a 1992 New York Times article as the chairman of the World Assembly of Muslim Youth (WAMY), flying wounded Saudis fighting in the Bosnian war and giving them free medical treatment. [New York Times, 12/5/1992] BIF stops operating in Saudi Arabia but expands its operations in the US (see 1992-1993). 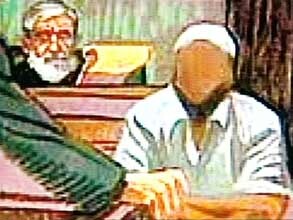 [USA v. Enaam M. Arnaout, 10/6/2003 ] The FBI will not begin to seriously investigate it until 1998 (see 1998). US agents will raid WAMY offices in 2004 for suspected ties to radical militants (see June 1, 2004). In the summer of 1999, the FBI sends a request to the Saudi government asking for information about Adel Batterjee, the founder of BIF, but they get no reply before 9/11. In April 2000, they apply for a FISA warrant so they can conduct electronic surveillance, but it is not approved until after 9/11. It has not been explained why there was such a long delay. They discover the bank account numbers of the BIF’s overseas offices and ask for help from other US intelligence agencies to trace the money, but they never hear back about this before 9/11. They submit a request to an allied European country for information about European intelligence reports linking BIF executive director Enaam Arnaout to the kidnapping and murders of Americans in Kashmir in 1995. But they never even receive an acknowledgment that the request was received (see July 4, 1995). BIF will not be shut down until shortly after 9/11 (see December 14, 2001).